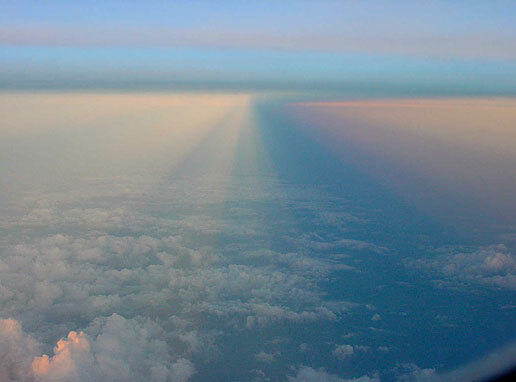 Rays & Shadows from the air. Sequence imaged between Hong Kong and Seoul by Simon Murray, "as one passes these rays, there is a strong 3D motion sensation of flying through them". Images ©2003 Simon Murray, shown with permission.